PCOS stands for polycystic ovary syndrome. It often occurs due to elevated levels of male hormones, androgens in women. It has become extremely common among women of the age group 18-30. Common signs and symptoms include irregular or no menstruation, heavy periods, excess body and facial hair, acne, pain in the pelvis, difficulty getting pregnant and patches of thick, dark and velvety skin. Women with an unhealthy lifestyle are often unaware of the cause of this disorder due to which they become susceptible to this disorder. PCOS is caused due to a combination of environmental and genetic factors. Eating fried and processed food, obesity and lack of physical activity are all risk factors of attaining PCOS. Although PCOS has no cure, it can be managed. Treatment includes bringing about changes in the lifestyle like weight loss, exercise and eating a healthy diet. Birth control pills may help for regular periods and antibiotics like metformin and anti-androgens may be prescribed to control the extent of disorder. One must seek immediate medical attention if PCOS is diagnosed or its symptoms are suspected. Lifestyle changes can considerably manage the syndrome. One such change includes adding turmeric to your regular diet. Research studies have found that turmeric has great therapeutic potential to prevent the progression of PCOS and hence manage the syndrome well. If you already know about Turmeric, please jump to the relevant section using the Table of Contents below, else please read on. Turmeric is a commonly used spice and has a variety of health benefits. In recent years a lot of research work on turmeric has shown that it possesses a variety of beneficial properties including anti-oxidant and anti-inflammatory properties. It has been found to treat numerous illnesses. Turmeric health supplements are now available in the market very easily and are gaining immense popularity among the public. Turmeric has been found to treat symptoms associated with PCOS. PCOS is characterized by the formation of cysts due to abnormal levels of hormones. 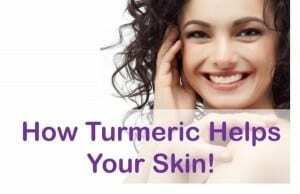 Cysts are a result of inflammation and therefore it is beneficial to include turmeric in the diet which provides tremendous anti-inflammatory benefits. Turmeric has been found to be useful in treating a variety of inflammatory conditions like arthritis and ulcers. Several studies suggest anti-inflammatory benefits of turmeric, specifically curcumin. A study conducted by Aggarwal et al. in 2009 suggested the anti-inflammatory properties of curcumin in a variety of conditions like metabolic, cardiovascular and other diseases. The study showed that curcumin interacts with proinflammatory mediators like cytokines, transcription factors, adhesion molecules, protein kinases, redox status and various enzymes that are found to be responsible for inflammation. Another study conducted by Jacob et al. in 2007 highlights the anti-inflammatory properties of curcumin in tissue injury. This can be helpful in preventing inflammation in the body tissues that result in the formation of cysts. The study found that curcumin upregulates levels of PPAR-γ, a group of proteins that suppresses the release of proinflammatory cytokines and tumor necrosis factors. As inflammation serves as a major cause of formation of cysts, anti-inflammatory property of curcumin can be helpful in treating and preventing PCOS. An imbalance in the metabolism of reactive oxygen species can lead to PCOS. Prolonged oxidative stress can increase the risk of cardiovascular diseases in patients with PCOS. This oxidative stress can be prevented or controlled by the consumption of turmeric on a regular basis as turmeric is highly known for its anti-oxidant properties. A study published in Chemico-Biological Interactions in 2008 described the antioxidant and free radical scavenging effects of curcumin by various assays. The results showed that curcumin is capable of scavenging free radicals that induce oxidative stress. Because of its ability to reduce stress that can be helpful in treating a variety of conditions including PCOS the study concluded that it is safe and effective to use curcumin in the medical and food industry. Curcuminoids are essential constituents of turmeric. According to a study carried out by Rao et al. in 2006 curcumin all curcuminoids were found to possess anti-oxidant properties however curcumin was found to be the most post amongst the other two (demethoxycurcumin and bisdemethoxy curcumin). The results showed that curcumin prevented peroxidation by linoleic acid most effectively. Oxidative stress leads to further complication in PCOS and hence need to be controlled. Turmeric can be consumed to reduce the reactive oxygen species which help in prevention of oxidative stress. Depression has been observed as a common symptom in women suffering from PCOS. It is important to seek immediate attention for depression as it severely affects mental health. 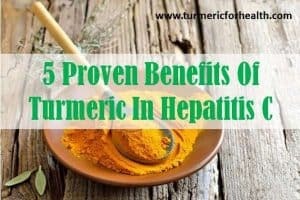 This can be improved by proving diet support in the form of turmeric supplements or simply including turmeric naturally in the diet as turmeric has been found to have similar therapeutic properties as anti-depressant drugs and with no or least side effects. Clinical trials conducted by Lopresti et al. in 2014 demonstrated that when curcumin was administered in patients suffering from major depressive disorder for a span of 8 weeks daily at a dose of 500 mg, curcumin was effective in significant improvement of depression as compared to the control group. Another study conducted by Lopresti et al. in 2015 on similar lines demonstrated the anti-depressant effects of curcumin by clinical trials. The study collected biomarkers from different sites to determine the anti-depressant action of curcumin. Curcumin was found to regulate plasma concentrations of var that are involved in the treatment. Depression severely affects the mental health and women with PCOS are often prescribed anti-depressants which may have numerous side effects. Turmeric being a natural agent is proved as an anti-depressant with least side effects or toxicity and can be used for treating PCOS related depression more effectively. Research reports suggest that women with PCOS are more likely to suffer from heart diseases like atherosclerosis, stroke and coronary heart disease. Thus it is important that women with PCOS take necessary precautions. Turmeric can be included in the daily diet to prevent the risk of cardiovascular diseases. A study published in the Journal of Pharmacological research in 2017 showed how curcumin has a protective role in the heart by reducing oxidative stress, apoptosis, and inflammation. Curcumin has been found to be beneficial specifically for preventing atherosclerosis which can be highly beneficial for women with PCOS. A study published in Frontiers in Pharmacology in 2017 found that curcumin inhibits oxidization of low-density lipoproteins (oxidized Low-density lipoproteins lead to atherosclerotic plaque) by targeting certain signaling pathways. The study concluded that curcumin has anti-atherosclerotic effects. Women with PCOS are at a higher risk of developing cardiovascular diseases like atherosclerosis. Curcumin has been found to have a protective role on the heart and prevent atherosclerosis. Consumption of turmeric can reduce vulnerability to heart diseases in PCOS. Women suffering from PCOS often have weight gain. Obesity serves as a common symptom of PCOS. It is very important to have a healthy diet in order to prevent fat deposition which increases risk of developing PCOS. A study published in Pharmacology and Therapeutics in 2016 reported the effects of polyphenols that help in weight loss. The study emphasized that besides many others, curcumin being a polyphenol compound has been reported to increase lipolysis i.e breakdown of fats and improve beta-oxidation of fatty acids thereby aiding in weight loss. PCOS is a metabolic syndrome, often associated with unstable metabolic changes like dyslipidemia, insulin resistance, endothelial dysfunction, and inflammation. A study published by Pierro et al. in 2005 determined the effect of curcumin in weight loss and decrease in the adipose tissue in patients suffering from metabolic syndrome. The study performed clinical trials that showed a 2% reduction in the weight of subjects administered with curcumin for a span of 30 days. The study concluded that curcumin can help manage weight in overweight patients. 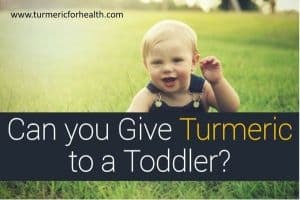 Turmeric is safe and there is no specific dose of turmeric prescribed for PCOS. It does not produce any toxicity or side effects and hence its inclusion in diet can help in managing symptoms associated with PCOS. Golden Paste is a recipe which incorporates turmeric with black pepper and healthy fats for better absorption. Here is the recipe for Golden Paste made from turmeric powder. If making it from fresh roots then find the recipe here. Consumption of turmeric must start with small doses such as ¼-1/2 tsp a day for a week and if no gastric side effects are seen an increase the intake gradually by ¼-1/2 tsp every week. The recommended dose is 1-2 tsp 2-3 times a day (precisely 1 tsp 3 times a day). The ideal dose of turmeric differs from person to person; some require less while some require more. It depends on what suits you and what dose your stomach can tolerate. Turmeric Milk and Turmeric tea are delicious ways to take turmeric. To identify good organic brands of turmeric please check our recommendations on best organic turmeric brands. If opting for supplements, consult a health practitioner prior to avoid allergic reactions or adverse effects. A general precaution needed to be taken before incorporating turmeric in the diet is that turmeric may have drug interactions with stomach acid reducing medication, antidepressants, blood sugar reducing drugs etc. Curcumin, an active ingredient found in turmeric is known to interfere in drug metabolism. Hence it is advised not to take curcumin supplements concomitantly with any other medicine. If suffering from cancer or on cancer therapy please consult a doctor before taking turmeric supplements. 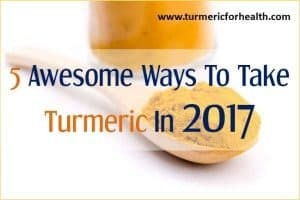 In the past few years, researchers have published various ongoing studies on therapeutic properties and benefits of turmeric. 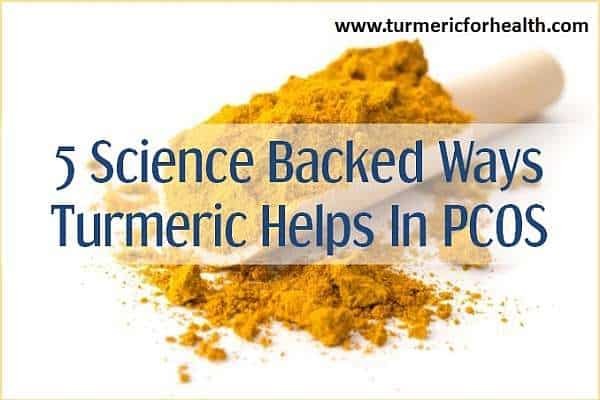 Although no research articles have been published regarding the direct action of turmeric in PCOS, Turmeric has properties that can fight signs and symptoms associated with PCOS. Turmeric is an incredible ingredient to incorporate in the daily diet to prevent and treat PCOS. Does eating a lot of greens and lettuces with turmeric supplements cause the same concerns as prescription blood thinners and lettuces, etc. ( vitamin K )? Hi. We have not come across any evidence that would suggest that green vegetables should be avoided when using turmeric supplement as a blood thinner. There has been one case report that has documented the possible interaction of turmeric infusion with a blood thinning agent that inhibits vitamin K activity. The warfarin diet suggested by Mayo Clinic indicates that it is safe to eat small amounts of leafy greens when taking blood thinners but one should avoid large amounts. And the same perhaps applies to turmeric supplements as well. Unless you are susceptible to or have a bleeding disorder or you are taking blood thinners, this should not worry you. If you are using blood thinners, then it is best to consult your doctor about using turmeric supplements. Thank you, I do nit have any bleeding disorders but I take turmeric and I eat a lot of greens. I m suffering from PCOS. My age is 20. I have started dieting and some sort of exercise. Not consulted any gyno. I want to get cured naturally. Please help me. Hi. Turmeric helps to regularize menstrual cycle and also boosts antioxidant defenses in PCOS. You can take Golden Paste. Start with small doses such as 1/4-1/2 tsp and if you see no side effects then increase the dose gradually to 1 tsp 2-3 times a day over a few weeks. Best taken with food to avoid acid reflux. Avoid taking it at the same time when you take meds. This should benefit overall health and also ameliorate symptoms of PCOS. Also consult a doctor or in case of natural therapy, do consult a herbalist or naturopath.